Is it snowing in Sun Valley ?Thank you! Sun Valley, in the United States (Idaho State), is a large resort with 18 lifts (17 chair lifts, 1 surface lifts) that offers skiers an incredible 1036 metres (3400 feet) of vertical descent. 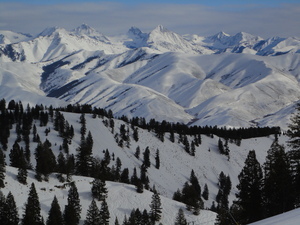 Sun Valley has 2054 acres of terrain over 78 trails. 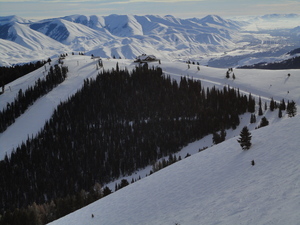 Sun Valley is best suited to intermediate skiers and snowboarders but there is some terrain for beginners and advanced skiers. There are 40 kilometers (25 miles) of cross country ski trails at Sun Valley. For snowboarders, there is a half pipe. 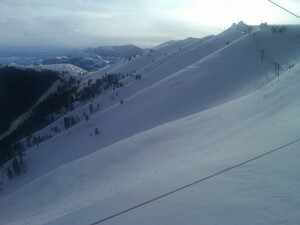 The majority of the trails at Sun Valley are covered by snow-making. The nearest airport is at Salt Lake City. There is accommodation located close to the pistes but we would welcome additional information about any hotels or chalets in Sun Valley. 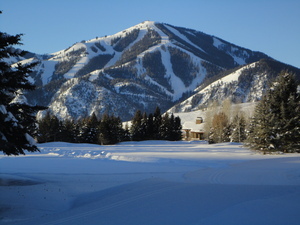 Sun Valley remains one of the best destination resorts in the country. Highlights include long, unbroken vertical with excellent steepness. I've never seen a lift line longer than 5 minutes on the busiest day of the season - 95% of the time there is zero line. While the excellent groomed skiing gets attention, most people don't know the extent and variety of the lift accessed side country, it's truly excellent when in condition. 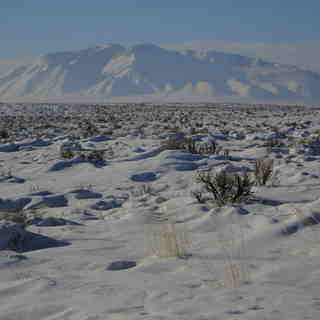 Additionally, there is nearly endless (and empty) backcountry skiing from 5 to 45miles away. Everything from massive alpine couloirs to empty cruisy powder fields. And all of that terrain gets 2-3x the snowfall of the resort (particularly) further north. 90% of my backcountry tours I don't see another person or cross a track. Last but not least, Ketchum/Sun Valley has one of the few actual ski towns in North America. A real town, with a great laid back, fun vibe, is walking distance to the mountain itself. Free buses around town make a week in Sun Valley one of the most accessible apres towns I've ever visited.